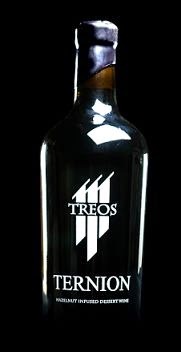 TREOS Ternion Port-style Dessert Wine wins accolades! Here’s the latest in the growing lineup Dave Jepson’s of delectable wines from Monmouth, Ore. — an unusual Port-style that starts with two barrels of Pinot Noir from the acclaimed 2012 vintage, which are then infused with locally grown and roasted filberts. Aromas of poached black cherry and grilled strawberry lead to luscious flavors of black cherry and strawberry. There’s just a hint of nuttiness in the sweet finish, and the structure is beautiful with sandy tannins and integrated alcohol.